Romavi International Corp prides business on building good customer relationships and quality service. Our qualified team is prepared to provide the personal attention and assurance to each customer large or small. Our 34 years experience in international shipping has made us one of the leading shipping agents in the world between the United States, Europe, Central America and South America thus allowing custom clearing to be time efficient. 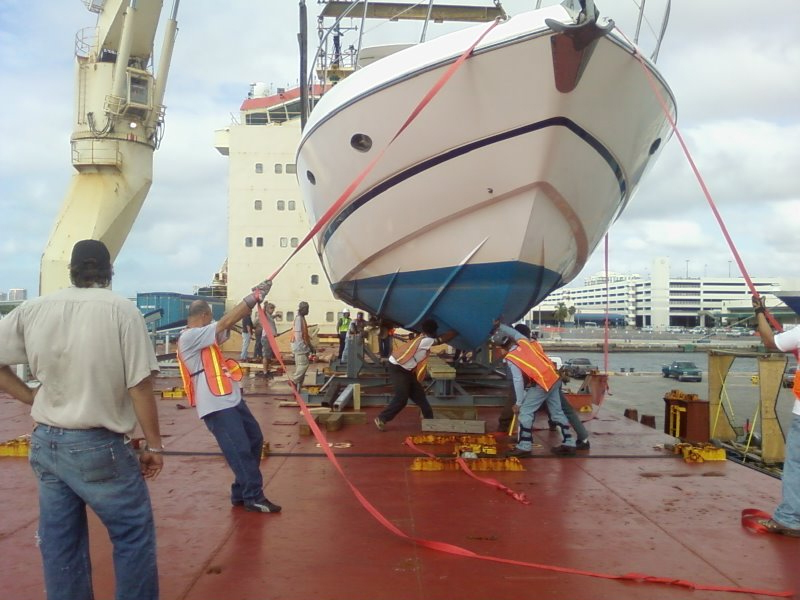 We are the only operating shipping agent in the Port of Miami for the past 34 years therefore we have established relationships with the port, on site warehousing and operations. The expansion of our operations at the Miami River terminal opened new cargo routes to the Bahamas, Dominican Republic , Haiti and Cuba. We maintain relations with the largest and most adaptable fleets in the industry. We offer oceangoing container ships, Ro/Ro barges, specialty vessels to handle a wide variety of freight, including vehicles, construction equipment, heavy lift, perishable cargo, HAZMAT, breakbulk, inland freight via train, truck or domestic air freight, and over-dimensional items. We include transport of cargo by containers, trailers and other intermodal components off the water. Romavi will assist in every part of your supply chain. Our reliability is important as your business is our top priority. We are conveniently located in the World Trade Center building in the Port of Miami.